After being laid off, I was pretty devastated. Although I wasn't in dire straits thanks to the ability to live at home, the computer industry wasn't going gang busters back then. I'd crack open the Sunday LA Times and peruse for jobs and send out as many resumes as I could. I was also interested in moving to Las Vegas so occasionally I'd drive down to a newspaper shop and pick up the Vegas newspaper. I interviewed at just about any place that would let me. I almost got a gig doing Visual Basic for a company that was just starting out doing accounting software (husband / wife team). I also interviewed at a major tax preparation place for a Pascal job. I am not sure why I wasn't hired there as I was a master at Pascal and I remember the interview going well. However, I think they were more interested in how the folks at Mindcraft were doing than me (the Mindcraft founders used to work at the tax place). Their loss. I finally came across a job way up in Santa Barbara, about 100 miles north of where I was living at the time, Palos Verdes. It was with a point-of-sale company who needed C/DOS programmers. I sent them my resume, made the 100 mile trip up there (with my mom of all things, who actually went to the interview with me) and somehow impressed them enough to hire me. I remember my dad and I going shopping that weekend to buy ties, nice socks and dress slacks. This was an IBM-like company and the dress code was professional (no jeans except on Friday). I got an apartment off of Patterson Avenue on the border of Santa Barbara and Goleta. I had virtually no furniture, no vacuum cleaner and only a basic TV. I did wind up buying a couch, but my dinner table was a folding table and a few folding chairs. I'd watch TV laying in bed in the bedroom and saw it about 20 feet away in the living room. I wound up working at the POS place for about a year a half. I immediately did very well there, getting a TON of stuff done in record time. I believe when I was hired on, they estimated that they had about 18 months worth of work to do for a team. I did all of it, in 6 months. My work soon was on cruise ships, major casinos throughout the country, as well as some major hotels and restaurants. This company still exists but is now under a different name and appears to be mostly located in Las Vegas, catering to the Vegas hotels. There were about 75 people employed there with about a dozen developers, mostly doing C or some weird form of BASIC that the IBM POS machines understood. I had a touch screen monitor where I programmed the ability for waiters and waitresses to enter in food orders, swipe credit cards, use thermal printers, and all that. It was also the first time I used e-mail, had a network and learned about Client-Server relationships. I was on a DOS machine with a 486 processor and used Microsoft C. While I was a 100% rookie at C when I got there, in a matter of a month, I was a seasoned hack. I started off making not a lot of money. Most of it went towards rent. Santa Barbara is also a super expensive city. So I had very little money left over to enjoy whatever there is to do there. I also owed my dad money for my insurance and for all the fancy duds we had bought for the job (I did manage to save enough money to go to Nashville that winter though). I was also into the country scene back then and when I got there, there was a saloon in downtown Santa Barbara that I would go to to dance and so forth (Red Dog Saloon). Eventually it closed or rebranded itself and I wound up having to go to Thousand Oaks to the Borderline Bar and Grill -- 60 miles one way south. I did wind up making a few friends to carpool with, but being a tee-totaler I was also the designated driver and it put a lot of wear and tear on my car. Fishing became on of my hobbies as well up in Lake Cachuma, a scenic lake up in the mountains above Santa Barbara where I'd catch Rainbow Trout and occasionally go hiking. The fishing dried up though when they drained the lake in order to repair the dam. Any visitor or date that I had who made the journey to Santa Barbara was often rewarded with a trip up into the mountains. While I didn't have a lot of extra money for gambling, we'd occasionally drop into Chumash Casino which at the time was little more than a warehouse filled with slot machines. I'd also do the wine tour, visiting Fess Parker, Firestone and many other wineries. I lived the life of the Sideways movie, and after doing the wine tours for as often as I did I could almost give the wine tours as well as the tour guides. I still get nostalgic after watching that movie because I walked down some of the same streets that they did. I often took dates to Mattei's Tavern for dinner or lunch, an idyllic stage coach station from the turn of the century. If you ever get a just to visit the area be prepared for some absolutely beautiful territory. Sadly it was a lonely existence. While beautiful most of the people there were either college students who loved to party or old people with money. I simply didn't fit in and I didn't have the social skills that I have now to make friends. I did a TON of walking / thinking. While I couldn't run on account of my knees, I would walk for long miles after work. I wish I had a camera back then but I would take the bike trail from my apartment all the way to the beach, walk through California State University Santa Barbara and walk along the coastline. Some of the most beautiful scenery in the world was there. I often ate at some of the dirt cheap Isla Vista food places that had absolutely FANTASTIC food. My favorite pizza is still Woodstock Pizza. I also got involved with the church down there, even for a while becoming a Eucharistic minister. I did extremely well at the POS place. I was given a lot of raises in short order and while I started off making not a lot of money, within a year I had boosted my salary up nearly 33%. Some of the largest raises in terms of percentages were at this time. I also was given the opportunity to go to Vegas to see the opening of the Hard Rock Casino. The company I worked for had done the computers for their restaurants and my efforts had been instrumental to closing the deal. So my boss took me there, put me up in a suite in the Flamingo (we did a lot of business with Hilton back then) and told me to check in with the IT guys to see if they needed my help. I rolled in once and they told me to get lost, so I basically got a 3-day vacation in Vegas. I got to see the security room of the hotel, meet the president of the Hard Rock, as well as one of the main managers at the Flamingo. Also just about every hotel in Vegas that I went to was running the software I had helped write. It was very rewarding to see my efforts being used. To this day, I can still go to Vegas and see the terminals with the company logo on them. However, the DOS machines that I worked on have been replaced with Windows versions, so probably very little code of mine is in use any more, but who knows. I also got to see Slaughter perform at the Joint and got to eat at one of the Hard Rock's restaurants for free, since they were training the waitstaff. Also, when I went to Nashville, I was given the name of the manager of the Wild Horse Saloon and got a personal tour of the entire place, including the dressing room (at the time, the Wild Horse Saloon was the set of a TV show on The Nashville Network). ments to the source code, or simply take long lunches. 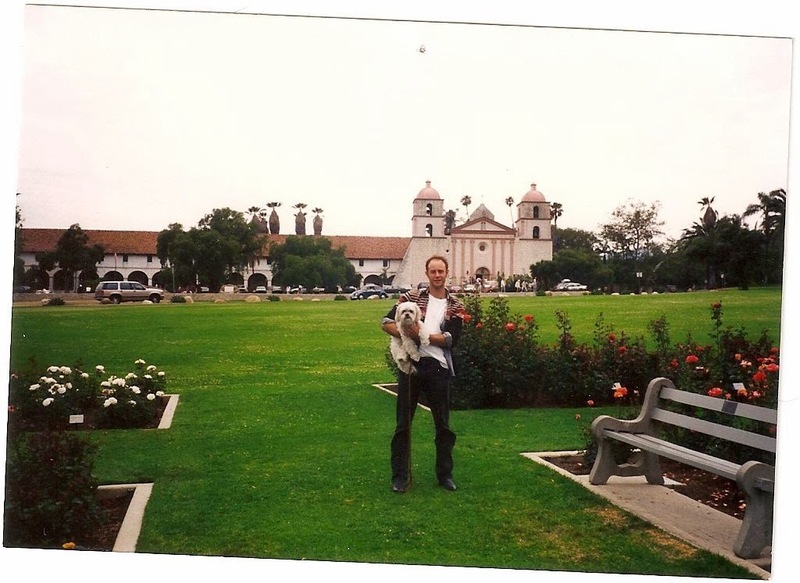 To compound matters, I was lonely, bored and became depressed living in Santa Barbara. I was largely "Geographically Undesirable" living up there. A 60 mile trip (minimum) to date someone made it tough and to chat on the phone was a toll call. I'd go entire weekends without speaking another word to another human being. I was having some success going as far south as Orange County (about 130 miles one way) and hanging out at the Denim and Diamonds off of Beach Blvd in Huntington Beach, but again, not conducive for having a relationship. I did entertain an offer from Denver from my old boss who went there. I sometimes wonder what my life would be like today if I had taken that offer. But I remember talking with an employee who went there and he told me quite bluntly not to take the job (hint taken). That company has since vanished as well. The company loved me and definitely wanted to keep me, but I needed work. Santa Barbara was like a albatross around my neck and I was slipping into a deep depression that was NOT healthy. To compound matters, I went through a horrendous girlfriend break-up that was absolutely devastating to me. The only thing that was "working" in my life was my job and with the lack of work I wasn't happy there. I started applying around like crazy to any game company with an address. I wasn't interested in living in California any more either, having had enough of the traffic, the people, the expenses, and the attitudes. So I was mailing out resumes to New Mexico, Las Vegas, Texas, -- anywhere in the south. One company took notice and flew me out to Illinois -- hardly south but I jumped at the opportunity to be rescued. I somehow impressed them enough for them to move me out there. While not my ideal place to live, it was back to gaming and with a solid, reputable company... what could go wrong?